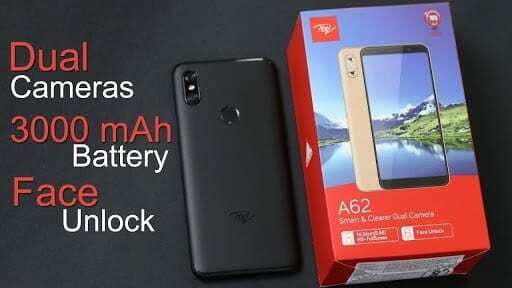 iTel A62 is also part of the entry-level smartphone launched in India in 2018. This phone silently steals the show of the iPhone X. The camera and the tall screen is cool with a dual camera and a rear-mounted fingerprint scanner. This phone is totally different from what we are used to. iTel really impressed everyone with this new innovation. It’s only a shame that they couldn’t introduce something original apart from the iPhone X trending look. 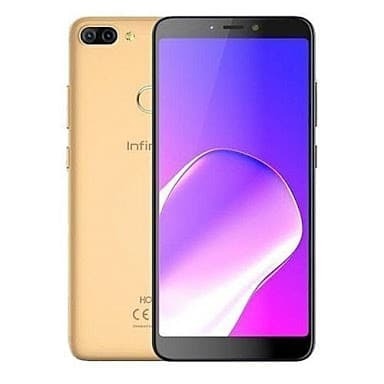 The Infinix Hot 6 is also a budget smartphone that was launched in 2018 with average specifications and a massive battery capacity. 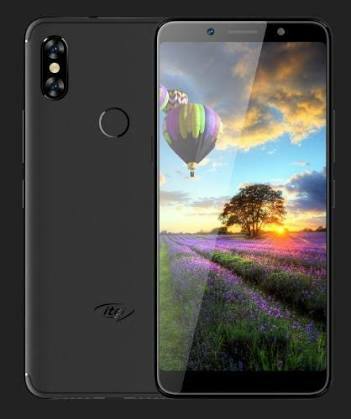 This phone looks like the iTel A62, especially on the front area. So in this post, we will be comparing the iTel A62 with the Infinix Hot 6 smartphone. The iTel A62 is built with plastic with a thick body that measures 152 x 73 x 9 mm in dimensions and weight 160 gram. It features a dual camera on the back with a fingerprint scanner and it’s available in Black, Champagne, and Red colors. The Infinix Hot 6 is a nice phone built with a plastic rocking a sleek body that measures 156.2 x 76.5 x 8.4 mm in dimensions and weight 157 gram. It also has a dual camera on the back along with a fingerprint scanner. The iTel A62 has a screen size of 5.65 inches with a resolution of 720 x 1440 pixels and 284 pixels per inch density. As for the Infinix Hot 6, it has a bigger screen size of 6.0 inches with a resolution of 720 x 1440 pixels and 287 pixels per inch density. Both phones have IPS LCD capacitive touchscreen with an 18:9 ratio and scratch resistant. On the camera, the iTel A62 has a dual rear camera of 13MP + 0.3MP for photos with Portrait, Bokeh, pano and lowlight modes, while the 5MP selfie camera brings beautify selfie and Face ID. You will also be getting a dual rear camera of 13MP + 2MP on the Infinix Hot 6. This camera features Geo-tagging, touch focus, face detection, HDR, panorama and a front facing camera of 5MP for a selfie. The Infinix Hot 6 lack Face ID, unlike the iTel A62 that has such feature as an added security. The iTel A62 pack MediaTek MT6739 chip and its 4-core processor which clocks at 1.3GHz for a smooth ride. You will get PowerVR GE8100 graphics card with 2GB of RAM for gaming and multitasking. The Infinix Hot 6 with a Qualcomm MSM8937 Snapdragon 425 which is not the best but will deliver more than the hardware on its rival. The Chipset has a Quad-core 1.4 GHz CPU with Adreno 308 graphics card for navigation and 2GB of RAM to ease the performance when multitasking. Both phones have internal storage of 16GB which is also expandable using micro SD card up to 128GB. On the inside, you will get 3000mAh battery on the iTel A62, while the Infinix Hot 6 packs a massive battery capacity of 4000mAh with fast charging technology. For connectivity, both phones support 4G LTE network and micro USB cable. The iTel A62 will cost around $109, while the Infinix Hot 6 is selling at a price of $125.